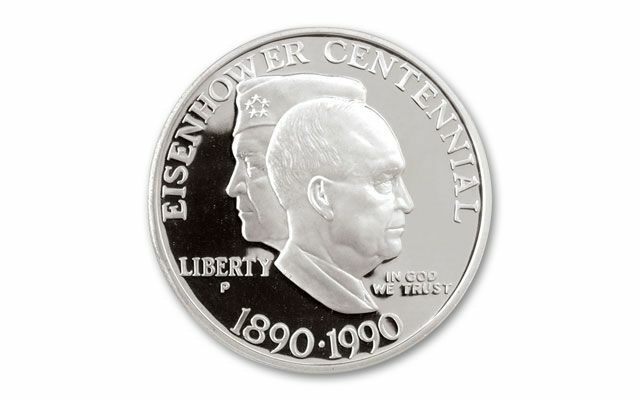 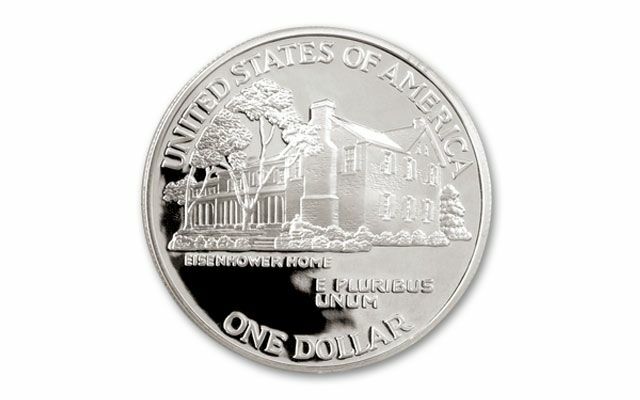 Struck to commemorate the 100th anniversary of Eisenhower's birth, this commemorative proof depicts him as a five-star general and as president. 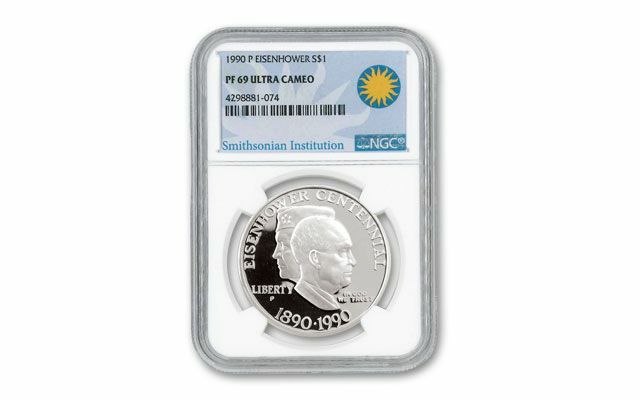 Each 1990-P Eisenhower Centennial Silver Dollar comes graded in Proof-69 Ultra Cameo (PR69UC) condition by Numismatic Guaranty Corporation (NGC). 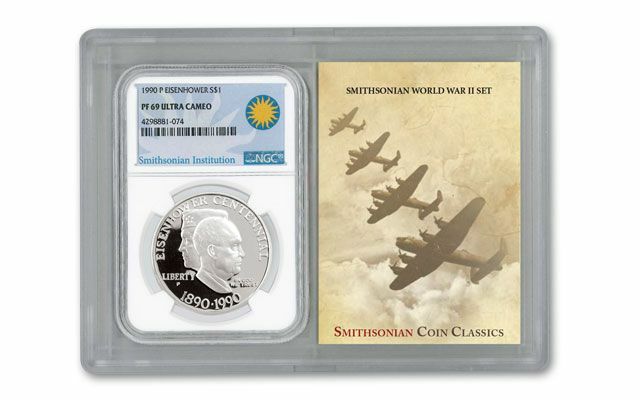 As supreme commander, Eisenhower led the invasion of Nazi-occupied Europe - under his direction, Allied forces stormed the beaches of Normandy on D-Day (June 6, 1944), leading to the liberation of Paris. 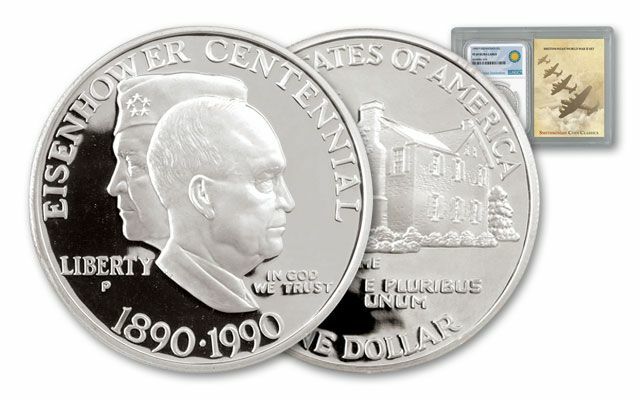 After returning home to a "hero's welcome" in 1945, he served as chief of staff in the U.S. Army before becoming the 34th president in 1953.